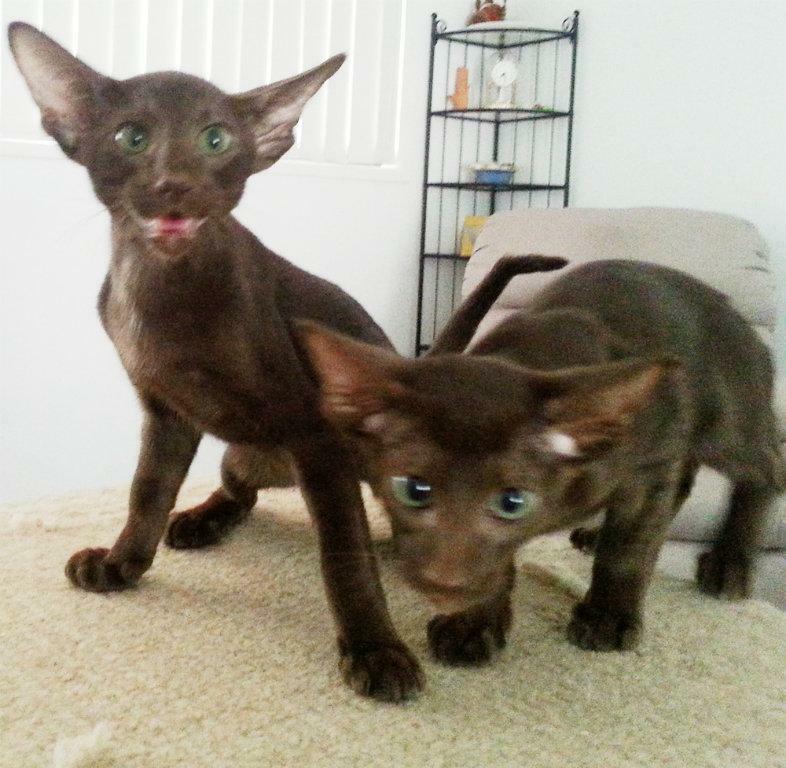 The kittens are $800 plus cost of transport and an airline approved carry cage, if needed. Adare, near Gatton Qld, near Brisbane, 93 Km from Brisbane CBD. Hi, Here are some photos from Seki Cattery. DOB Mellisandra’s Kittens 16 Jan 2018 and Marita’s Kittens 17 Jan 2018. 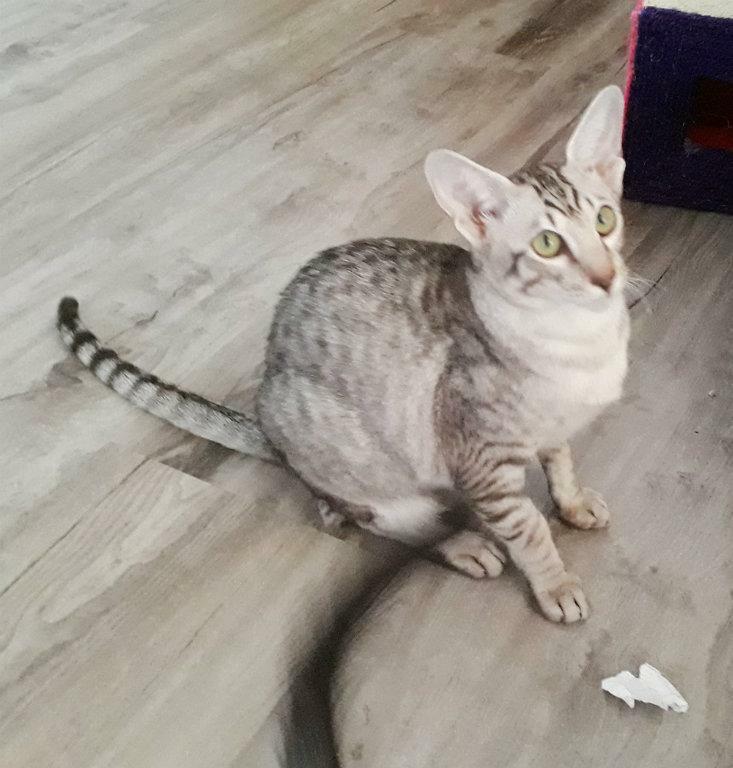 A Chocolate Silver Tabby Oriental Male Desexed - Dusty 7 months very loving and affectionate bed mate and hot water bottle. If you go to sit down, you have to make sure that the seat is clear as they will be there before you. Just to ensure that they get another cuddle. 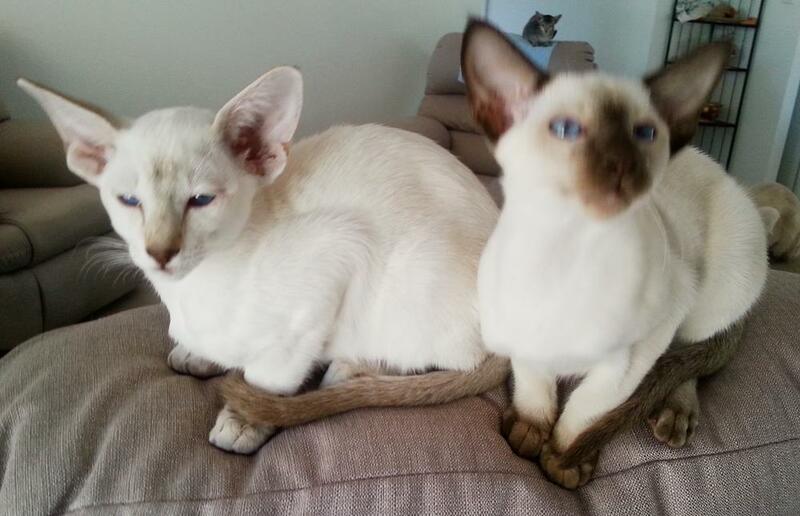 Siamese and Orientals have very similar personalities. The only difference is the Colour. Orientals have green eyes and colour all over the body. All our kittens are raised in the house and have never been allowed outside. They are trained to covered toilet trays. Visitors are welcome with notice as this is good for the kittens to see someone other than us. The kittens will have received the 12 week vaccination and new owners are requested to get a second when they have them vet checked. This cattery is on a new property and does not have fleas and ticks as yet. If you are in the advanced decrepitude bracket (over 65 like me), please arrange for someone to take the cat if you become unable to provide a good life for them. 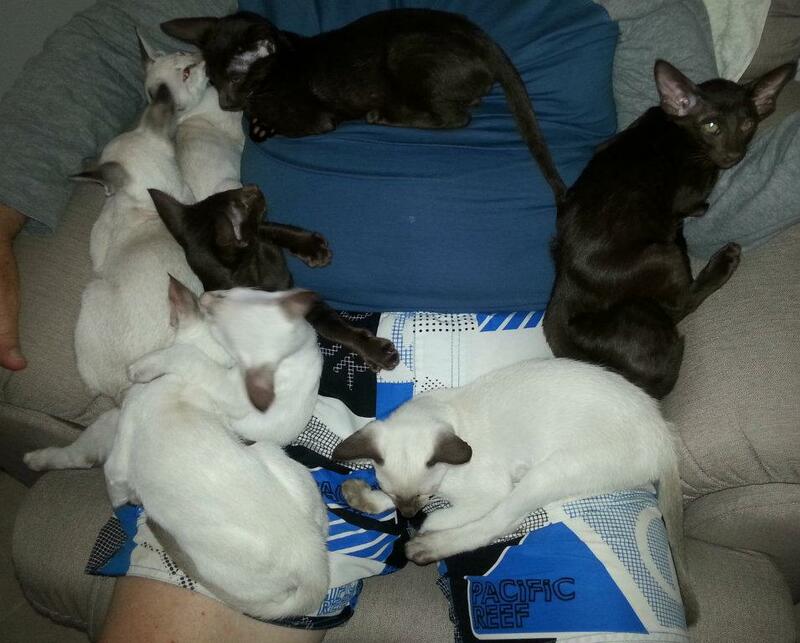 Seki cattery is registered with Cats Qld Inc.